One of the nice things of D-Star and DMR is the ability to talk all over the world without the need of an HF rig and a bunch of big antennas. While this largely reduces a radio to a simple Internet-driven communication tool – just like Skype or other VoIP apps – it’s definitely nice to use. There are a few problems surrounding DMR, one of which is the lack of more than two time slots. 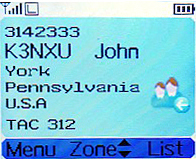 For example, if hams are using the Dutch Hytera network and occupying talk group 204 on slot 1, World Wide (which uses the same time slot) will be unavailable. 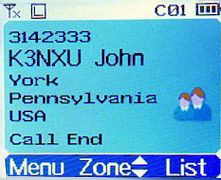 Because 204-1 is a busy place, world wide QSOs are often impossible. It’s one of the reasons I thought of dumping DMR all together — I can talk to the same Dutch guys on analog while enjoying a much better quality audio. There are reasons to keep DMR too. DMR is maturing; there are more than enough possibilities to put less pressure on the nation-wide network by going local. Now if only hams would do that…. but most don’t. Another reason to keep DMR for now is the gateway we recently added, which connects D-Star to our DMR network. Not available on the Motorola network, sorry — some people responsible for that network appear to be so scared of such innovations that they will ban a repeater from the network if such a gateway is detected. The “USA 1776″ (English preferred) Talk Group will be distributed worldwide to DMR networks upon request. 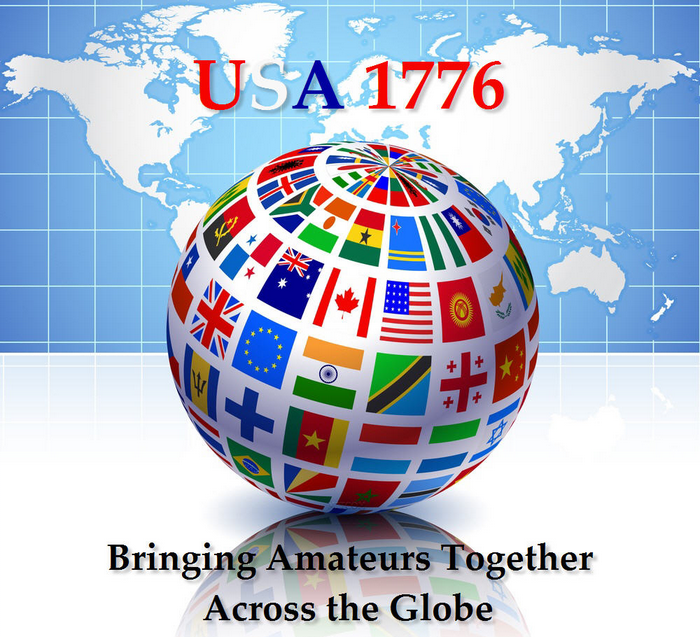 The spirit of “1776” is to continue the Amateur Radio tradition of international friendship and to push the boundaries of technology in the new frontier of digital communications. 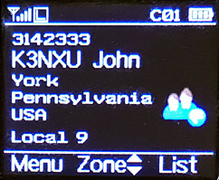 USA 1776 is intended to be a flexible, politically neutral, unrestricted Talk Group that can be used as Push-To-Talk (PTT) or Full-Time (FT) to meet the operating requirements of a DMR Network. DMR subscribers are welcome to use 1776 as a universal meeting place to “Rag Chew” or as a jumping off point and QSY to an alternative Talk Group if desired. To add USA 1776 to your DMR Network please contact us to schedule a time for configuration & testing. For the coming International Wireless Communications Expo (IWCE 2015), taking place March 18–19, 2015 in Las Vegas, USA, Samhoo wishes to invite you to visit our company booth NO. 2027. We look forward to welcoming you at the show. At the same time, we wish you will have a good trip in IWCE2015. Attachments are the introductions and details of our DMR radio products. If you want to know more, please feel free to contact us and we will do our best to further our understanding. 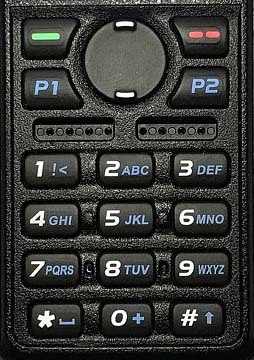 You can also find more information via our website: www.samhoo-pmr.com. 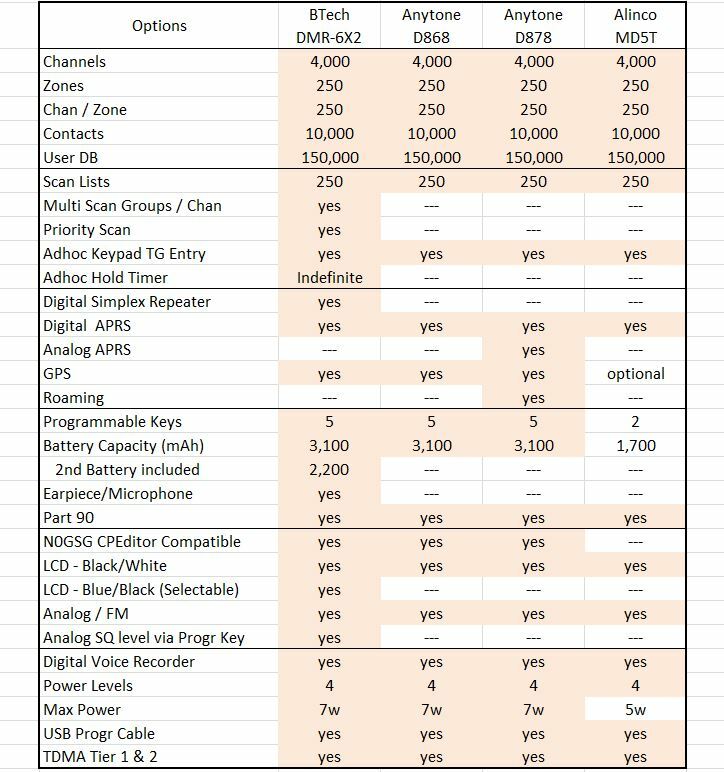 DMR—- Samhoo is delighted to formally launch our DMR Portable SPH6000 serial, SPH2000 serial and DMR Mobile SPM6000 serial, which all fully compliant with ETSI DMR Tier 3 & Tier 2, and be available in UHF (350-400MHz, 400-470MHz) and VHF (136-174MHz) bands will release soon. TETRA— Samhoo could provide fully integrated all feature industry TETRA module(smart size :86 X 43x 8) for Portable and Mobile devices, and be available in 806-870MHz，350-400MHz，380-430MHz，410-470MHz bands. 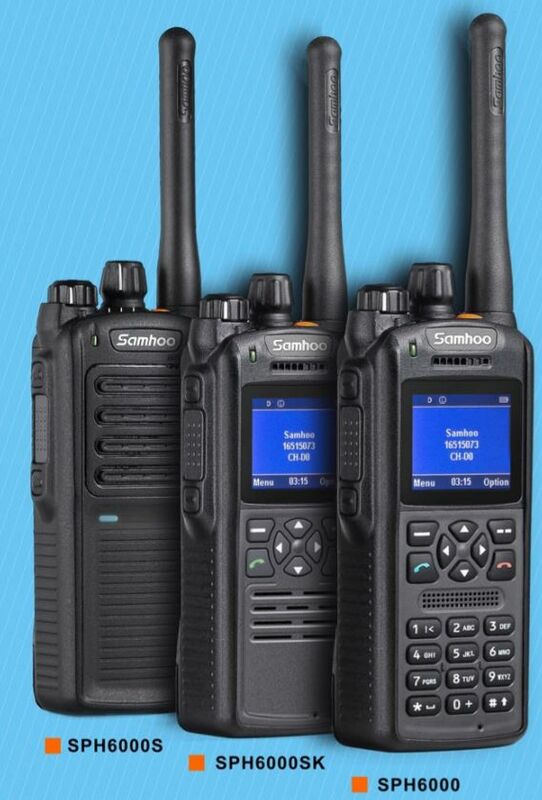 Samhoo is willing and open to work with all kinds’ partners, who could be distributor, dealer, ODM, OEM and technical cooperation etc, to explore Digital PMR radio business opportunity. What I find interesting about these Samhoo SPH6000 series is that ordinary TF cards are used for storage. This makes it possible to copy the configuration of one radio to another, just by transferring files. It would also be the few brands I know of who’s developing a VHF model. 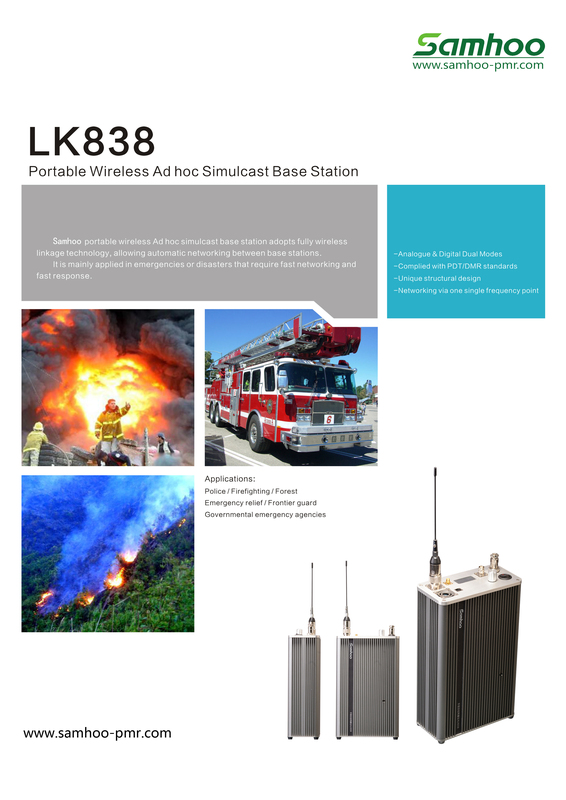 Also interesting (but probably very expensive and not really for hams) is their LK838 portable base station. When power goes down, this would still work — at least for a while.